I can find no picture of the George & Dragon but it dates back to the early 1800's and was one of only a few pubs in Shevington village in the 19th century. 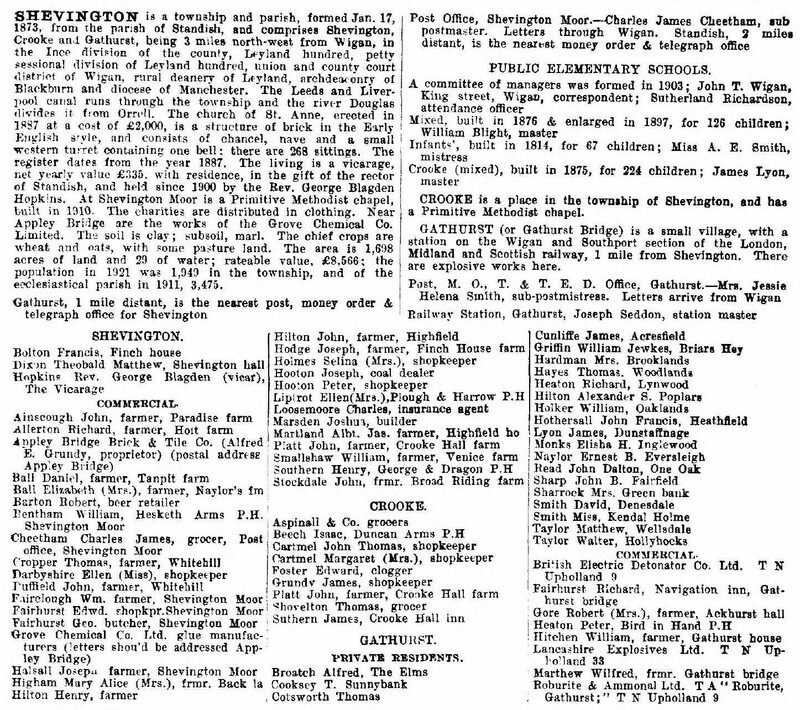 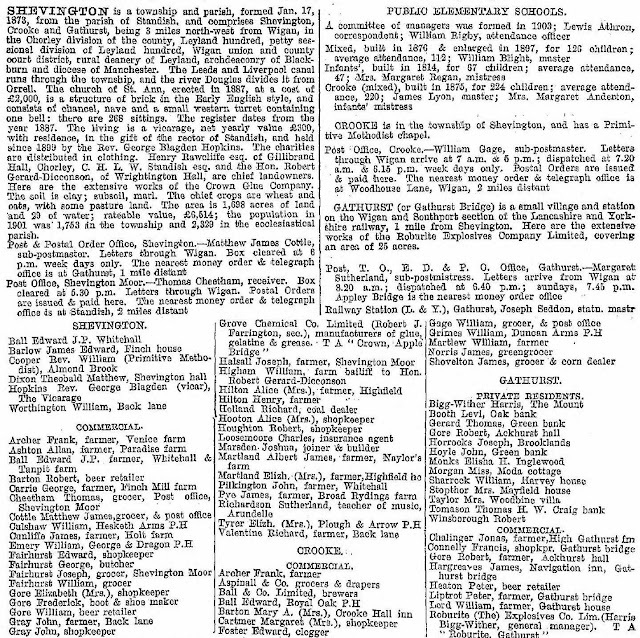 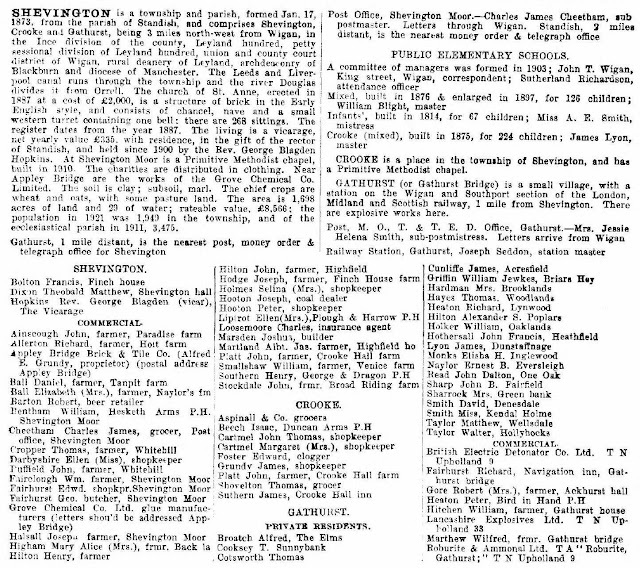 First reference to it can be found on the 1824 directory of the Standish Parish, as shown below and it remained a part of village life well into the 20th century. 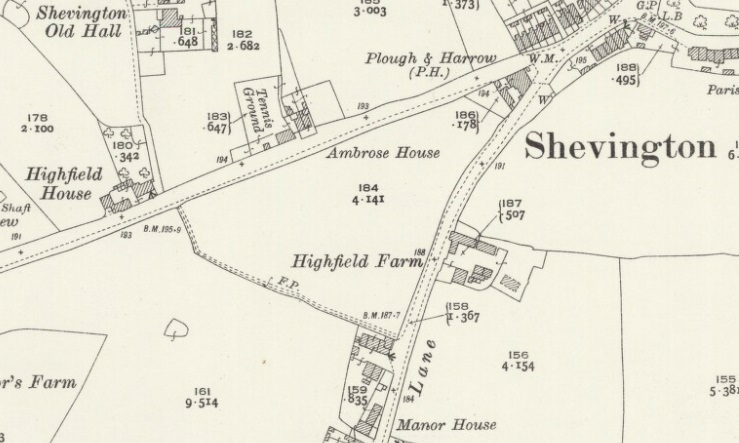 As can be seen on the map above, it was located roughly where the Spar is today on Gathurst Lane. 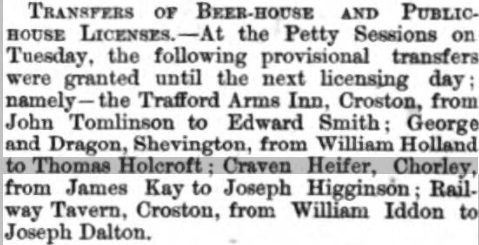 Listed landlord at the George and Dragon were George Ellis (1824), George Holland (1841-61), William Holland (1871-74), Thomas Holcroft (1874), James Hesketh (1877), Sarah Freeman (1881-91), John Moss (1901), William Emery (1905-08), James Southern (1911) and Henry Southern (1924). 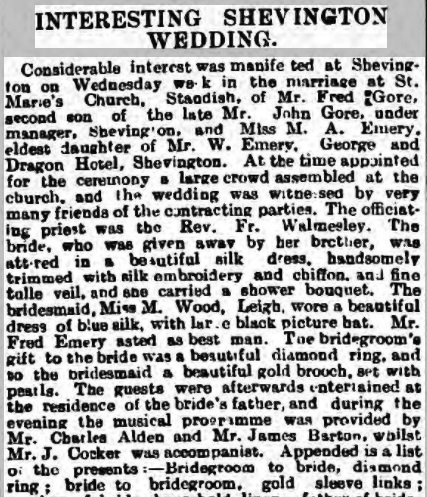 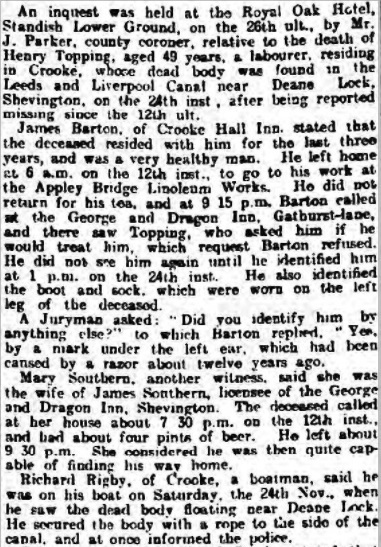 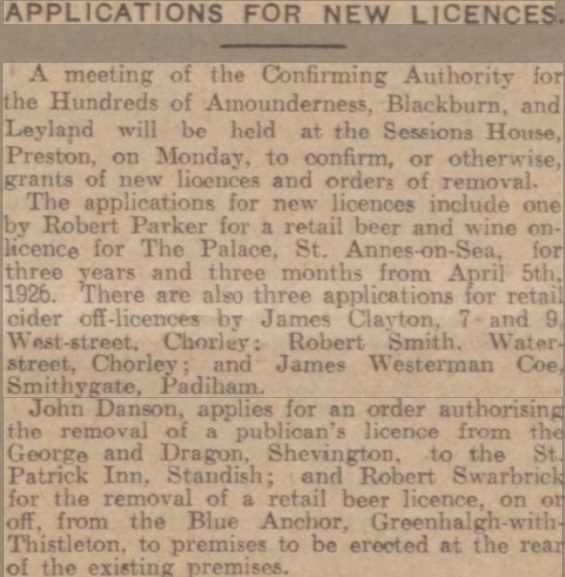 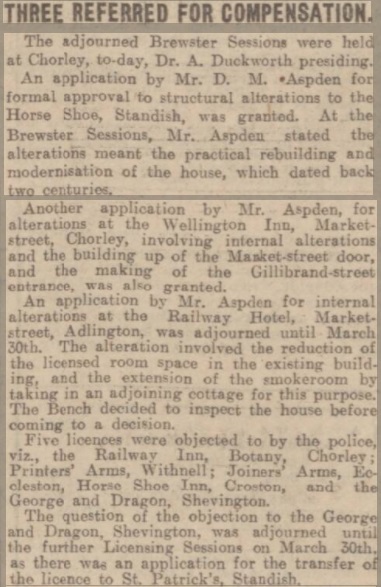 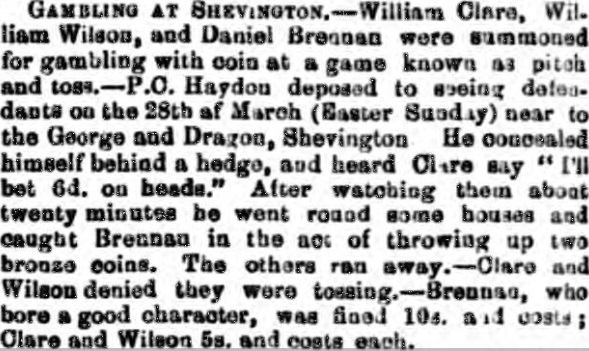 The press cuttings above suggest a connection between the George and Dragon and the St Patrick's Inn in Standish and points towards an early indication that the George and Dragon was struggling business-wise. 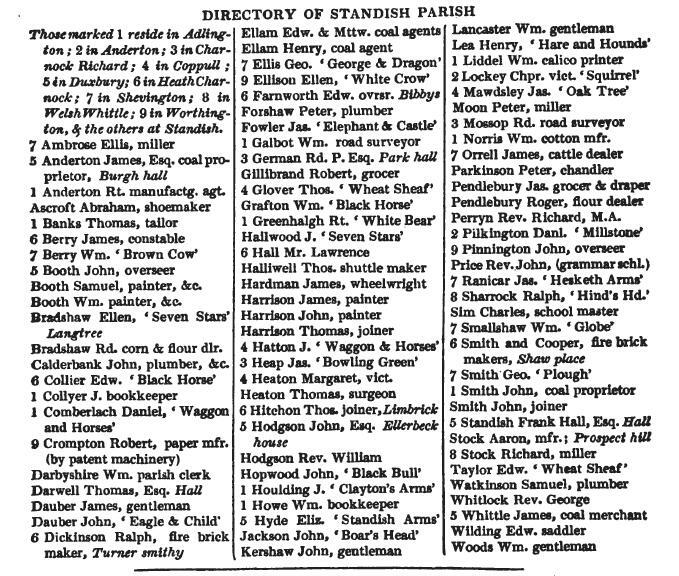 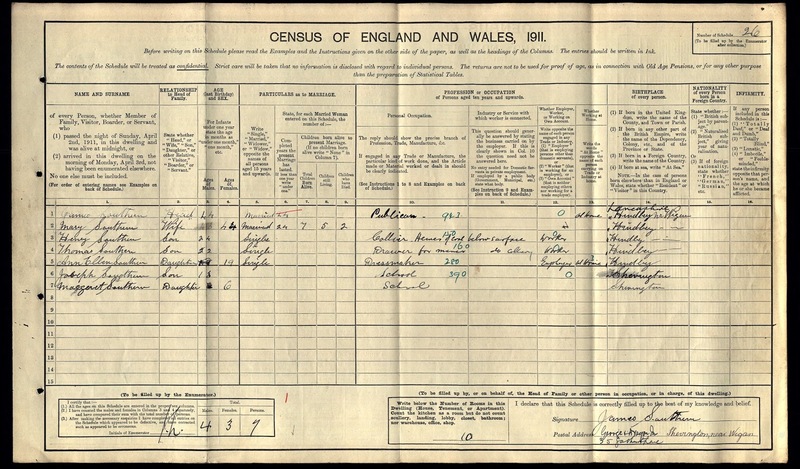 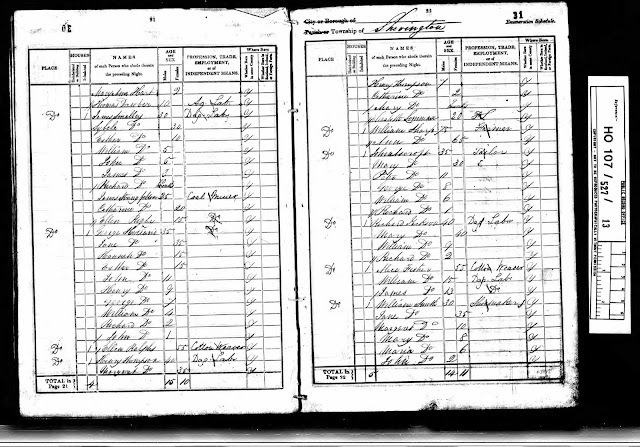 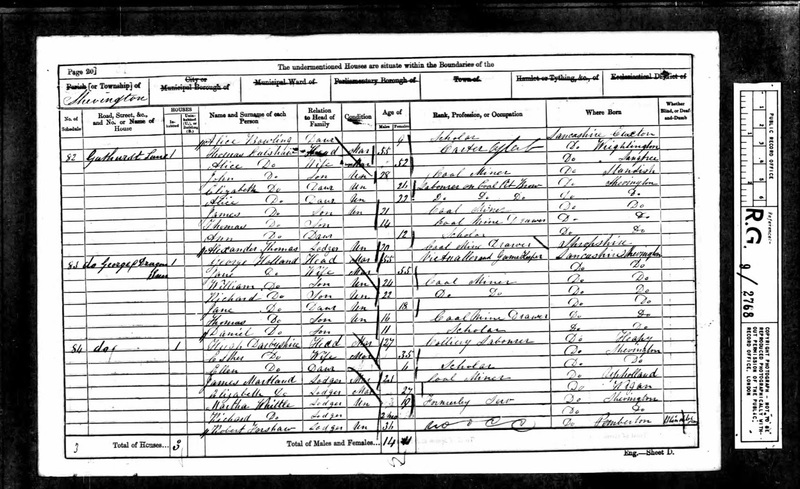 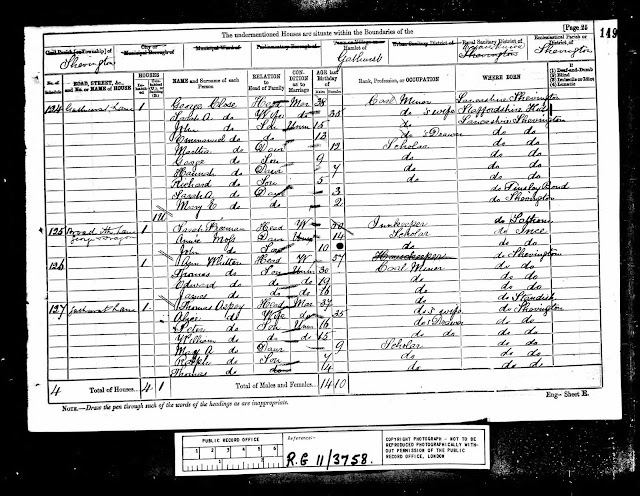 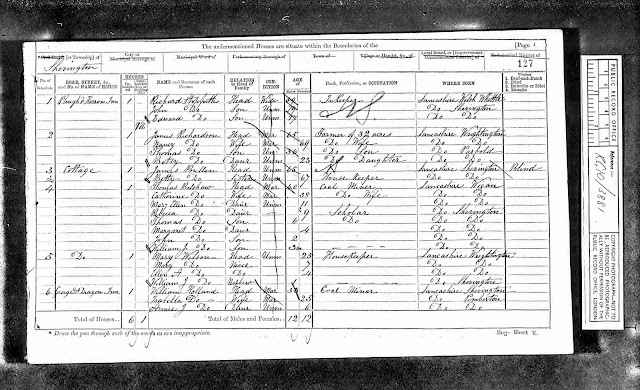 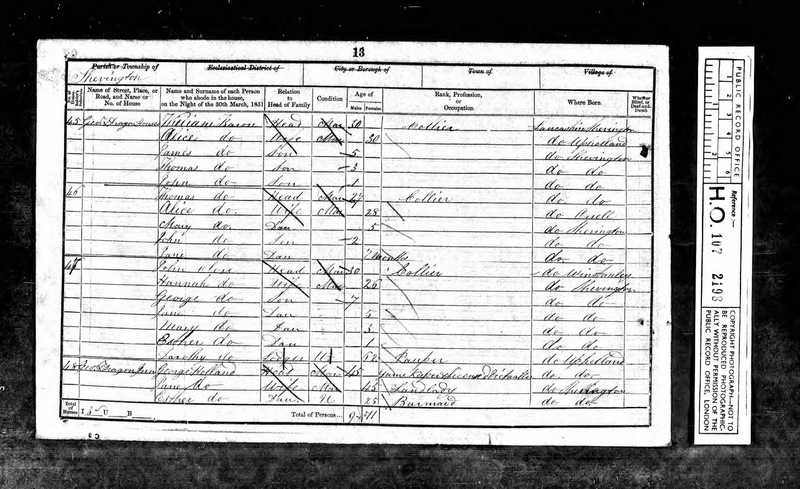 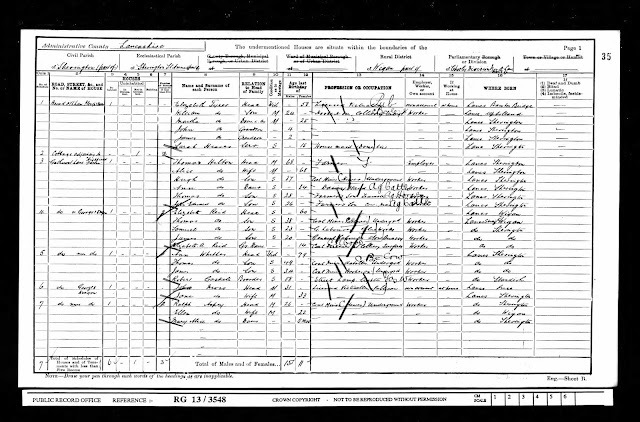 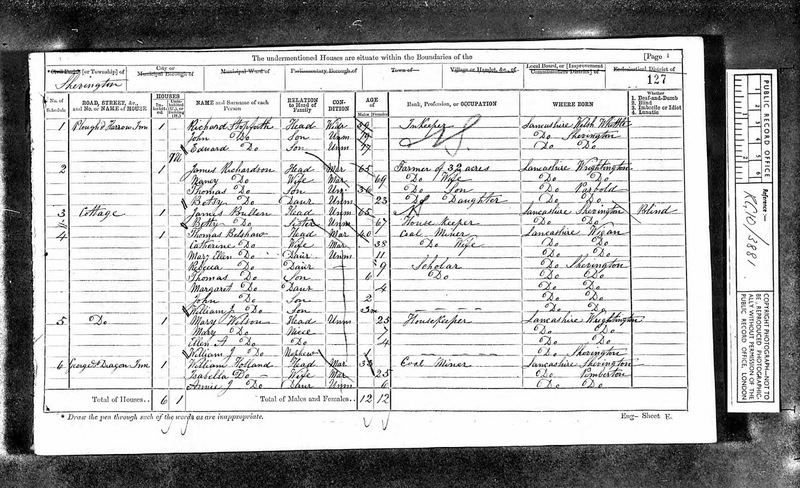 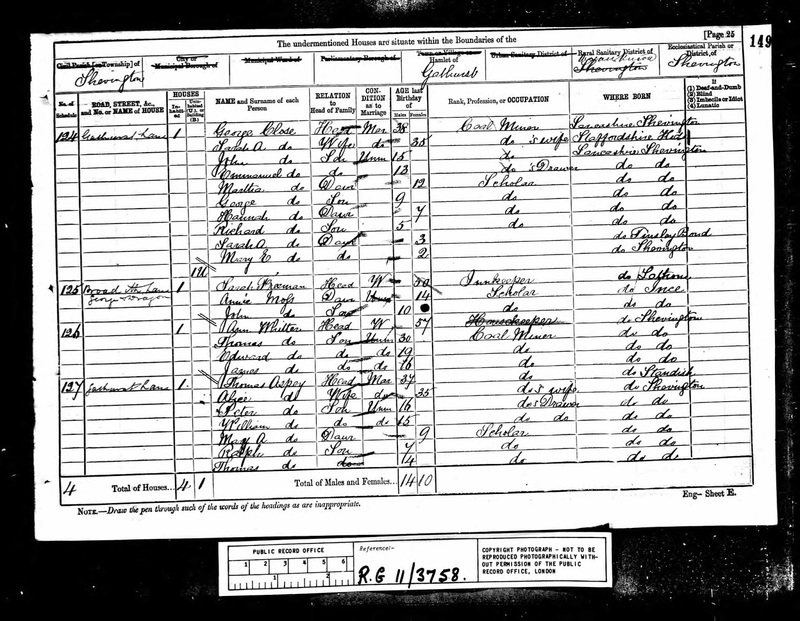 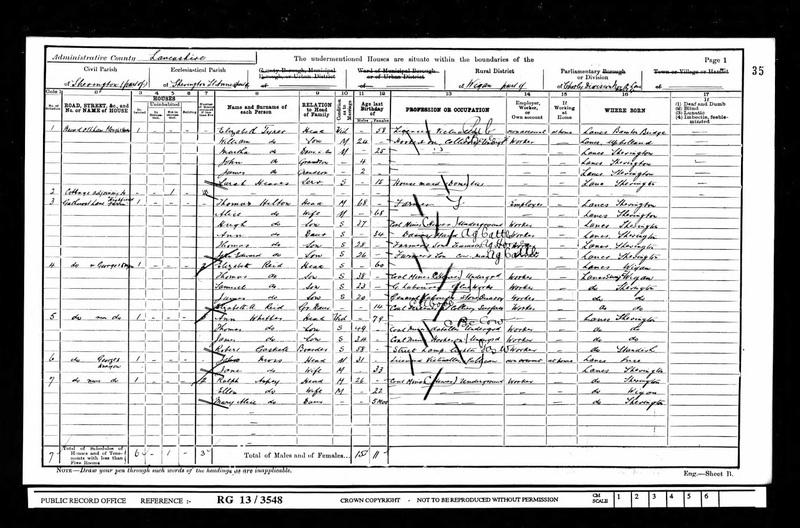 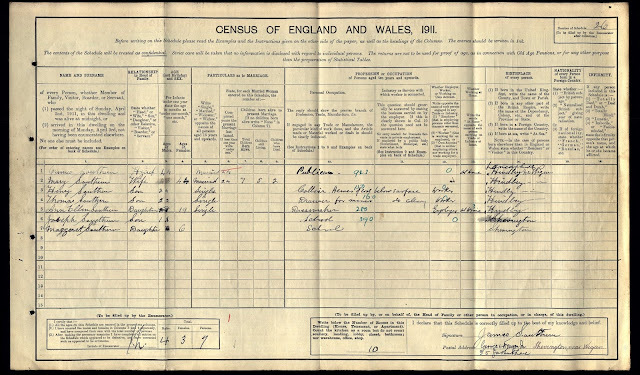 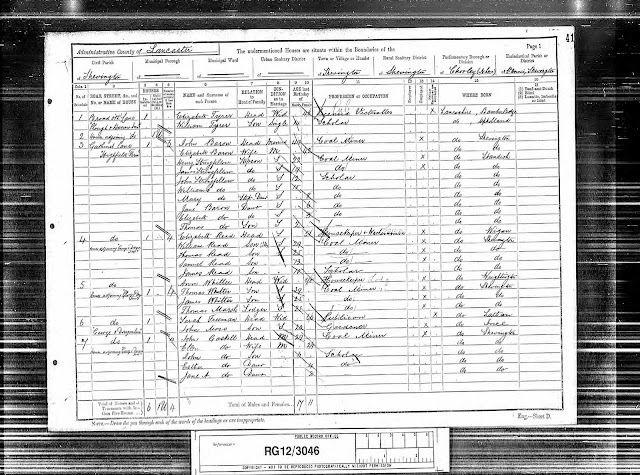 The 1924 directory below confirms that Henry Southern had taken over running the Inn from his father James by this time. 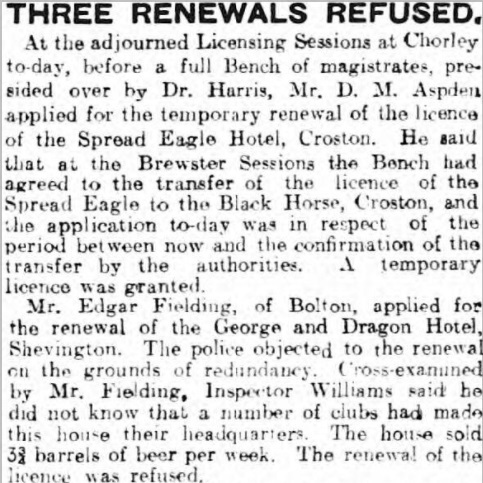 1926 may well have spelled the end of trade for the George & Dragon with the removal of the license to trade, as I can find no reference to the Inn after that time and OS map of the area published in 1928 does not record the property as an Inn although the building is quite clearly still shown directly below the footpath (F.P.) 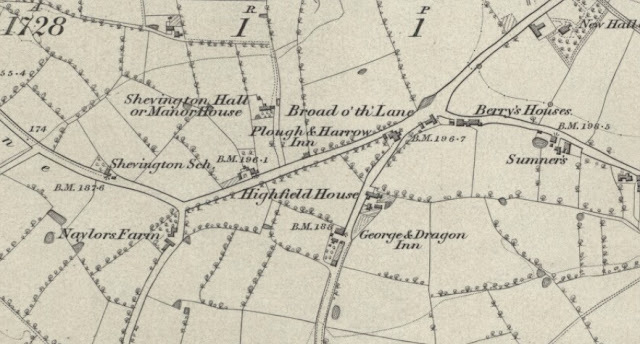 linking Miles Lane and Gathurst Lane (lower centre).